Welcome to Fast Contract Cleaners in London, one of the best cleaning companies in city that provides top quality Office and Commercial Cleaning Solutions right across the capital. When it comes to business, the first impression is very important. The state of your workplace could very well set the mood for the remainder of a client’s visit. In the same vein, how clean and pleasant your employees’ work surroundings are could either help to motivate them, therefore making them more productive, or it could be demoralising, resulting in a lot of dilly-dally. Our Contract Cleaners in London offer Office and Commercial Cleaning Service! This is why it is vital that managers hire a cleaning company that supplies professional and experienced cleaners in London. No matter how big or small the premises may be, if you are the manager of a busy company then make sure that you acquire the services of reliable and hard-working operatives that can offer affordable and competitive cleaning prices. 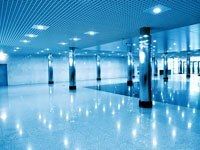 We use only the best cleaning tools and materials to complete their work, giving your workplaces a brilliant shine that will dazzle your clients and guarantee success for your business. If you need more information about our London Contract Cleaners, please feel free to contact us at 020 7321 3910.